Sackville bed and breakfast travel guide for romantic, historic and adventure b&b's. 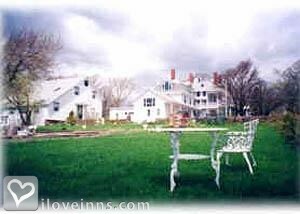 Browse through the iLoveInns.com database of Sackville, New Brunswick bed and breakfasts and country inns to find detailed listings that include room rates, special deals and area activities. You can click on the 'check rates and availability' button to contact the innkeeper. Sackville is basically a university town since Mount Allison University is located here. Located in Westmoreland County, New Brunswick, this town used to have foundries as a base for its local economy. Now the town is made alive by the university and by tourism. Sackville possesses a number of beautiful and interesting sites that keep visitors coming. The atmosphere is truly intellectually stimulating. Musicians and popular artists often visit the town to play. The Waterfowl Park, which is at the center of the town, is an exhilarating sight. The coastal area at the Shepody Bay is another favorite destination of those who love to see the best of nature. The Tantramar Wetlands Centre has indoor and outdoor facilities that make learning about natural habitats fun and comfortable. Sackville heritage attractions include the Campbell Carriage Factory Museum and Boultenhouse Heritage Center. Visitors can stay at any of the Sackville bed and breakfast inns. By Marshlands Inn.